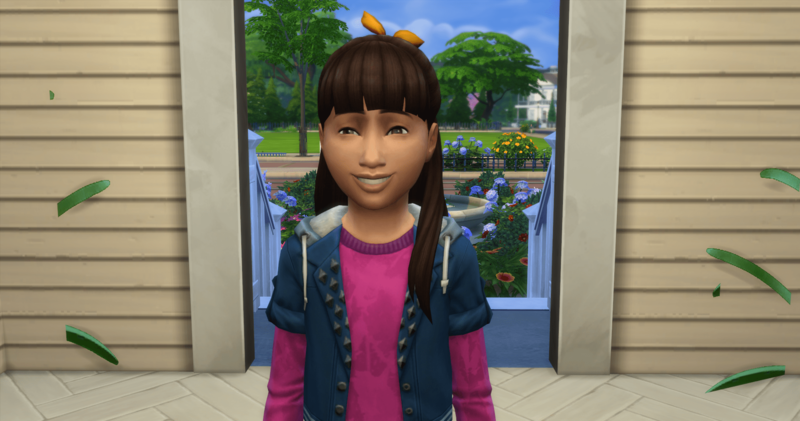 Hilary (Daphne’s daughter) comes over to visit every day after school. She and Gwen are good friends. Eliza finds a mate and moves out. Reece Barakat has been a friend since they were children. Fiona finds being the heiress exhausting. Seriously? 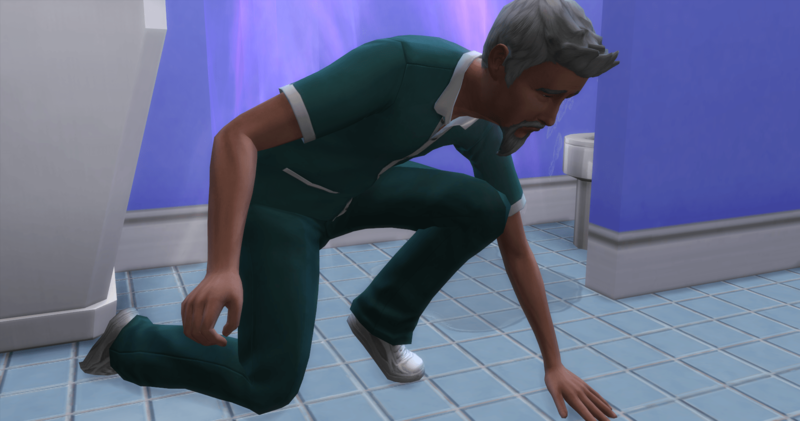 The maid dies on the job. 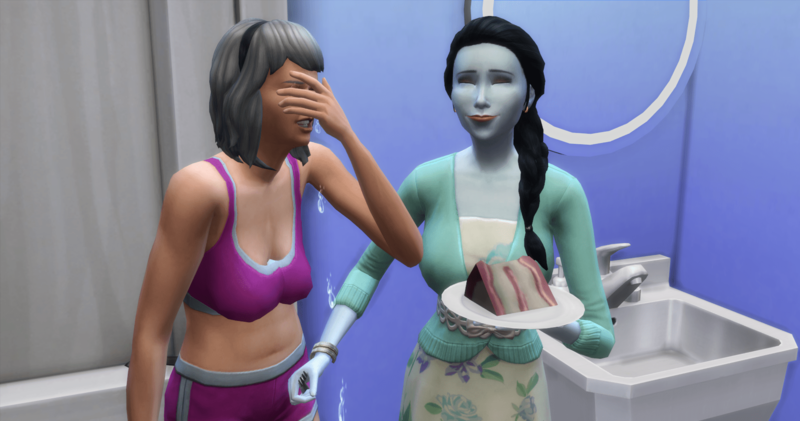 Mixed reactions – Cybele cries and Fiona enjoys her cake. 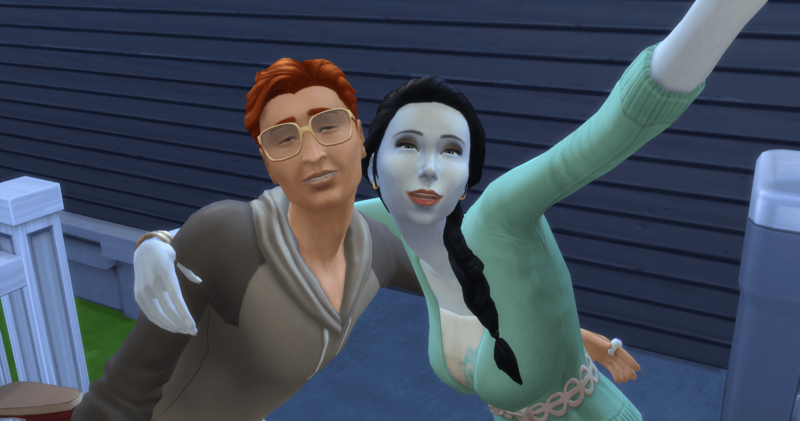 Fiona holds a casting call for her legacy spouse. And a winner has been chosen. Jackson Farrell agrees to join the family. Fiona starts her career in Social Media. 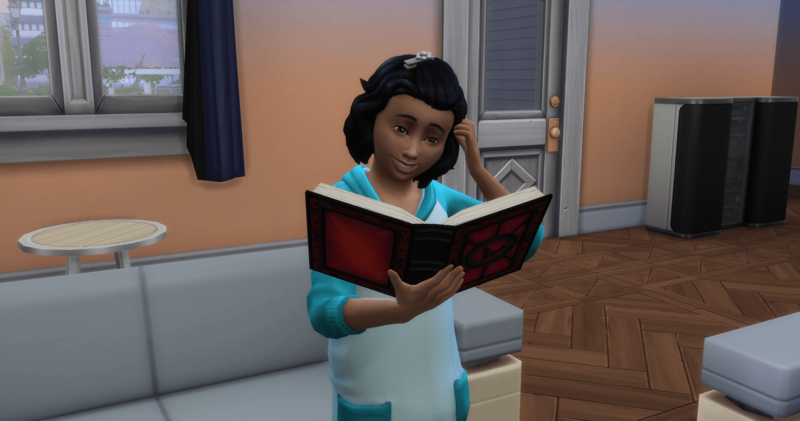 Despite having a rough start as a toddler, Gwen finally settles into the family and grows into a happy child. 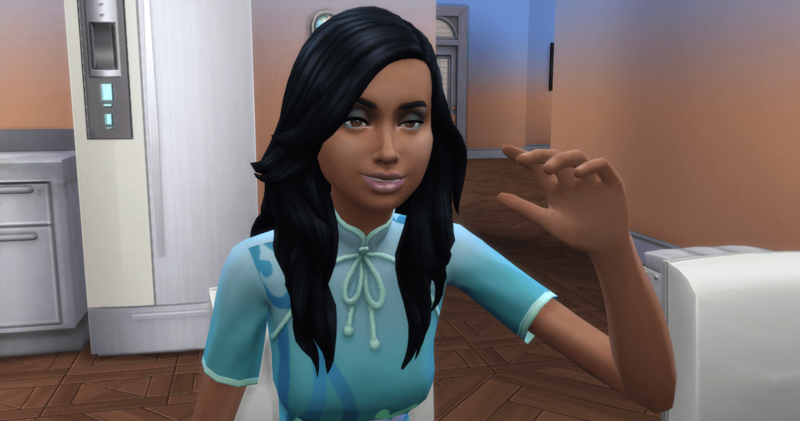 Fiona needs to be angry so she can post an angry rant. 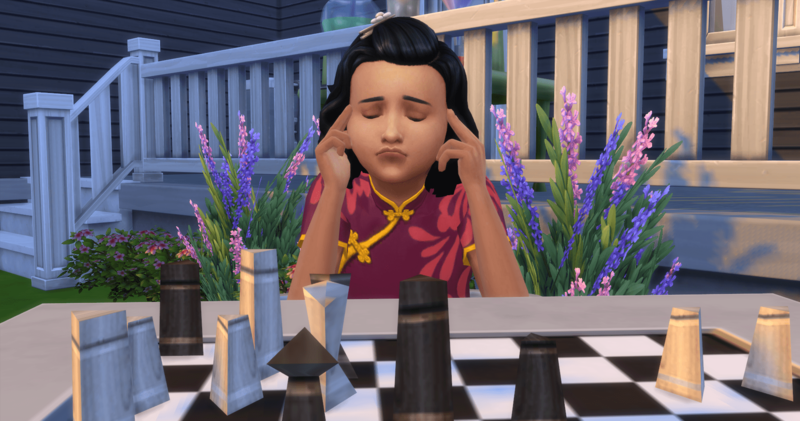 She is trying so hard to get angry, but as much as she trying, she is still Happy. Deciding that she needs to be on the receiving end of mean taunts, she asks Cybele to help her out. Nope. 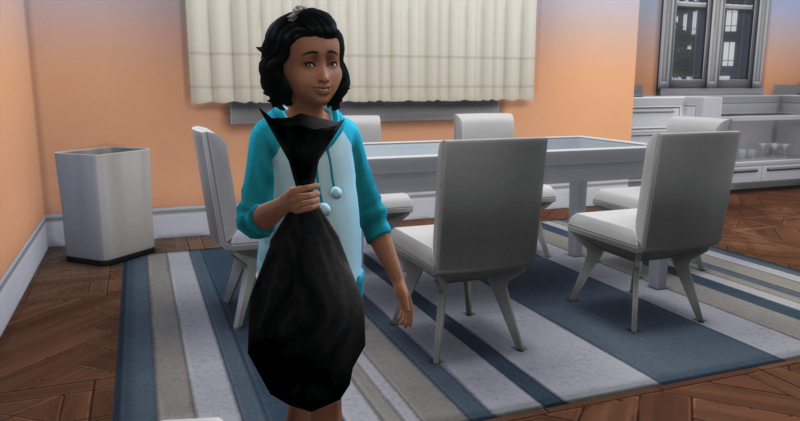 Helping out around the house without being asked. 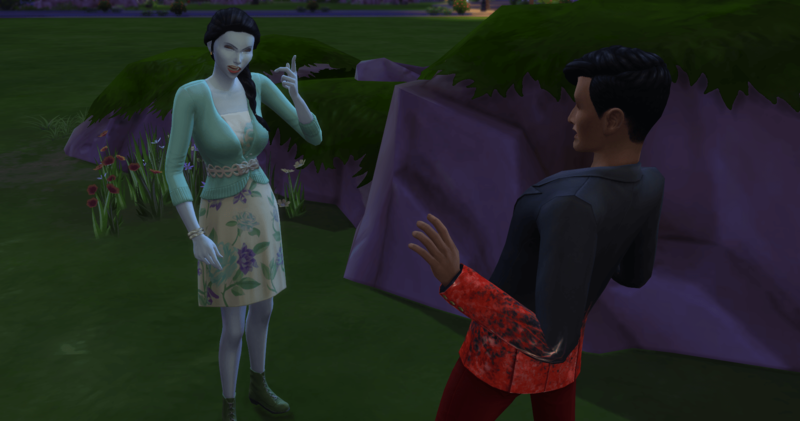 Most of my ghosts got purged, so Gwen makes a point to become friends with Ariella and Basil to try to keep them around longer. 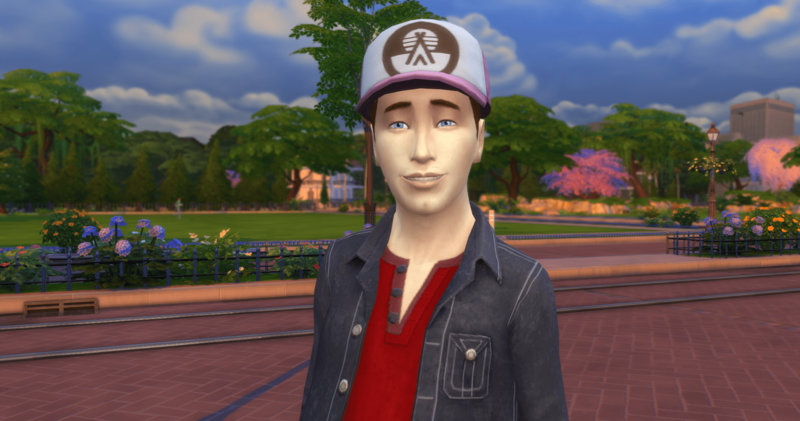 For the first time since he moved out, Finley calls Gwen and asks her to come over to visit. 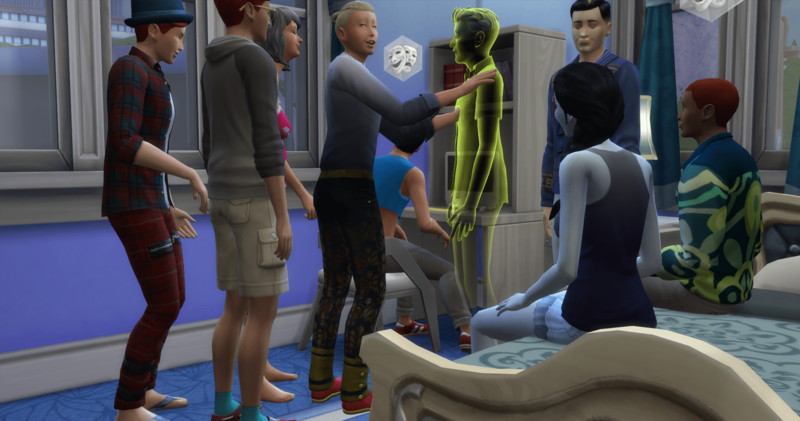 They have a long talk about why he left and why he can’t come back. Gwen is disappointed and heads home. 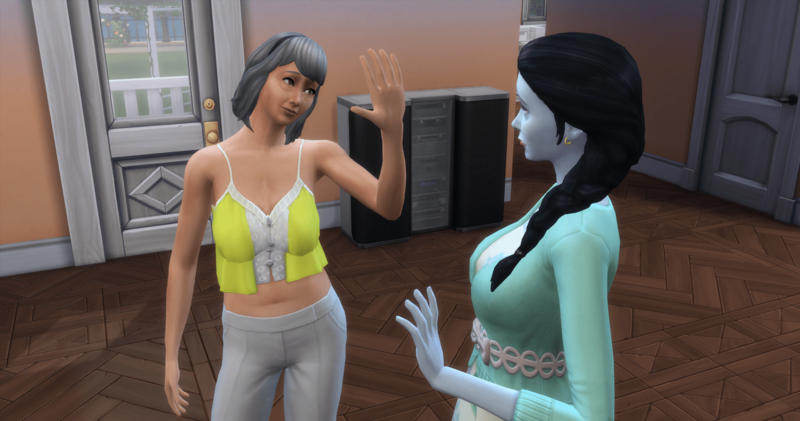 When Gwen gets home, she tells Fiona about her disappointment. She is not sure if she will see her father again. 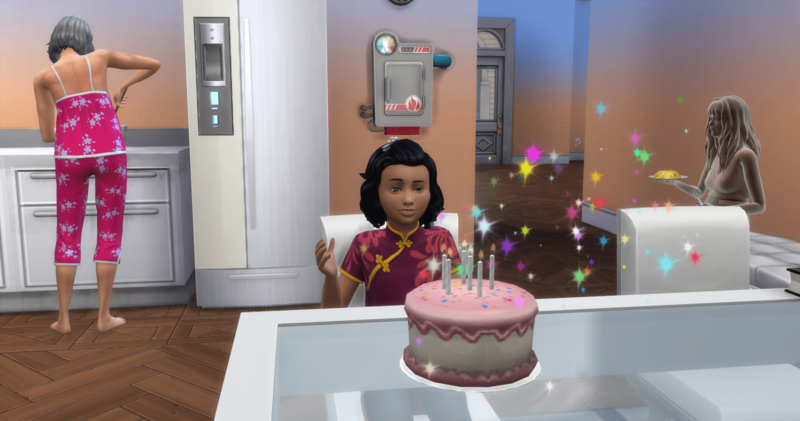 And with that, it is time for Gwen’s birthday. 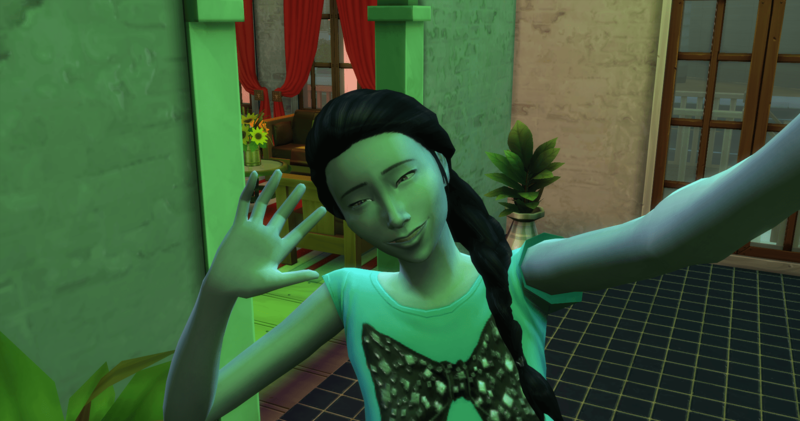 A teenager is in the house, again. 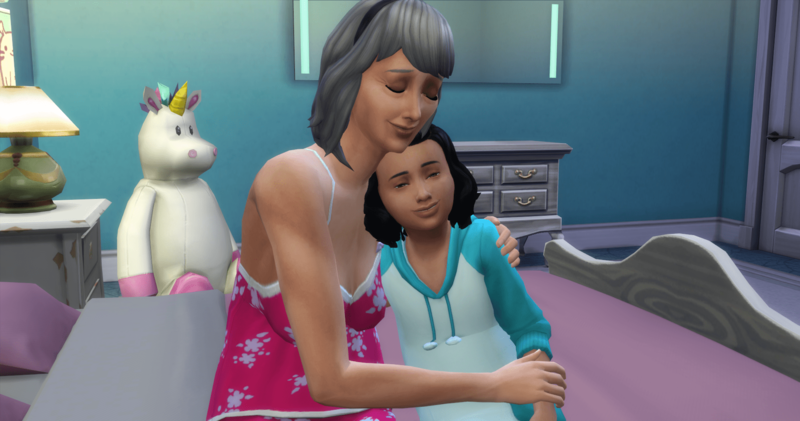 And surprise, for the first time since she was a toddler, Myra comes to visit. 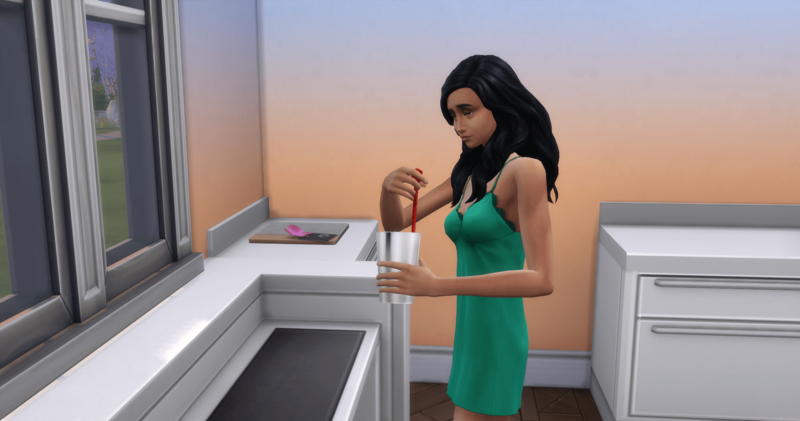 Gwen takes a job as a Barista and starts to learn mixology. 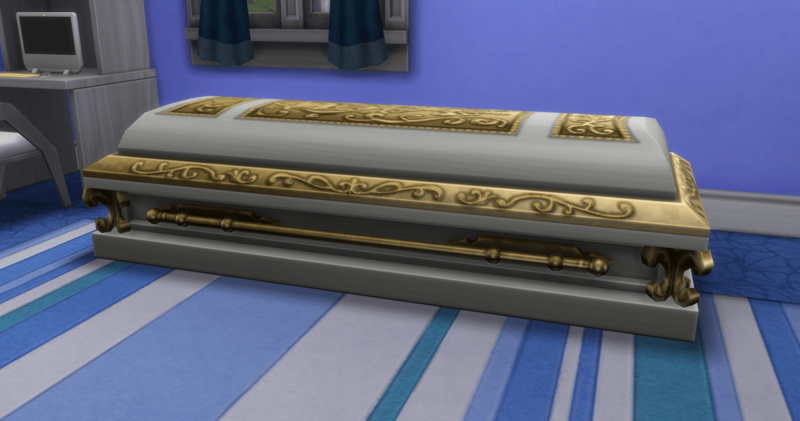 To close out this chapter, Gwen swaps out the really nice bed for a coffin. 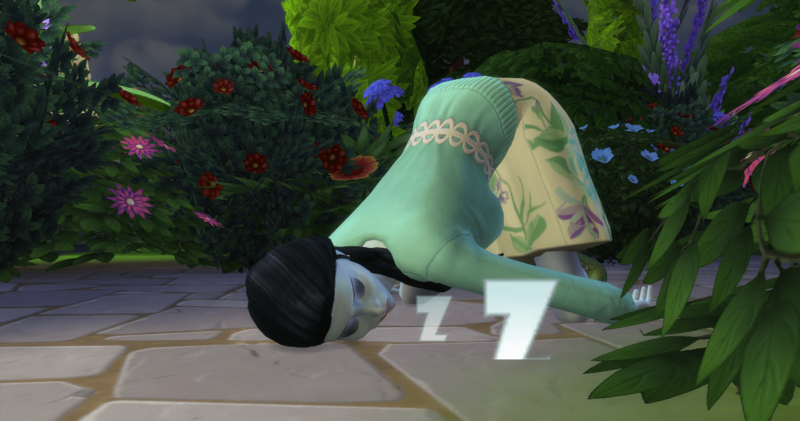 She has two weaknesses so far – Withered Stomach and Sleep of the Undead – which means she cannot eat sim food and is only able to sleep in a coffin.